Welcome to My ChurchSuite! My ChurchSuite is what we call the church member-facing side of ChurchSuite. 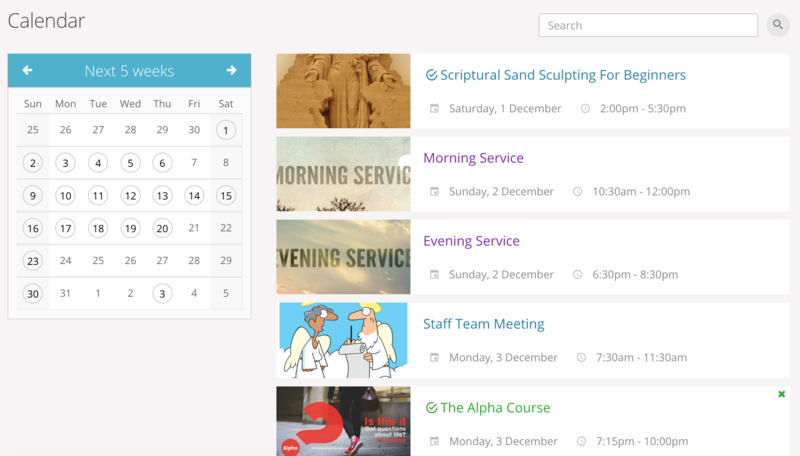 While your church's ministry leaders, staff and pastors will use the admin-facing ChurchSuite system to help them manage the church, we've created a great system for you too; to help you keep your details up to date and to help you access and engage with the life and activity of what's going on at your church. It's important to say at the outset that access to My ChurchSuite for any church member is a decision of your church leaders - there's no automatic access or entitlement. Access is granted by invitation; a process that begins with your church sending you an email invitation; so it's important your church has your correct email address! That invitation email contains a unique login-link that is used to access My ChurchSuite for the first time and to set your password. Those without an email address will not be able to access My ChurchSuite. If you share an email address with a partner, you'll each receive separate personalised invitations - be sure to click the link in your email, and make sure that you set a different password to your partner; otherwise the system won't know who is logging in! While this user guide outlines all the features in My ChurchSuite, it is possible that your leaders have chosen to disable or restrict certain features, or they simply do not have certain modules on their system at all. If you are having difficulty accessing a particular feature, you should speak to your leaders in the first instance to see if it available and has been enabled for you. My ChurchSuite and Under 18s! My ChurchSuite is only currently available for adult contacts in the church's Address Book module. For safeguarding reasons we strongly discourage churches from trying to circumnavigate this by adding children as contacts in the Address Book module. Apart from potential safeguarding and data protection issues, those children will be prevented from participating in the other Children module functionality - like child check-in, medical/special needs/consents, children groups and group attendance etc. My ChurchSuite can be accessed through any web browser and using our free iOS and Android ChurchSuite apps (available from the respective app stores). App navigation follows traditional app navigation principles - clicking backwards, swipe, single-click menus etc. My ChurchSuite is also fully responsive, which means that pages resize automatically to suit the screen size of smaller devices like laptops, smart phones and tablets. We've created a separate support article for the apps - see the related articles section at the end of this guide. For the purposes of this guide though, we'll use screenshots taken from within a browser environment. 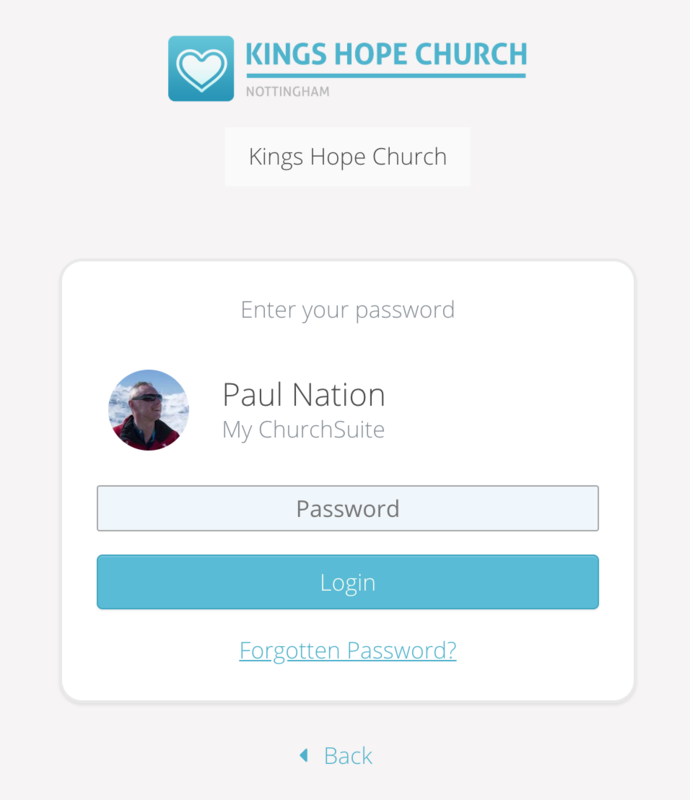 To log in, head to login.churchsuite.com and follow the on-screen instructions to search for your church. Next, enter your email address and when prompted, enter your password. Click Login. Note also the option to request a password reset email by clicking Forgotten Password? 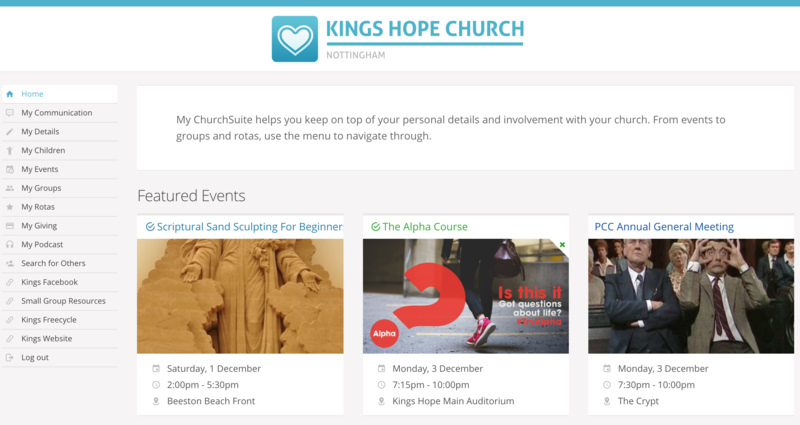 Once you've successfully logged in, you're taken to the My ChurchSuite Home page. 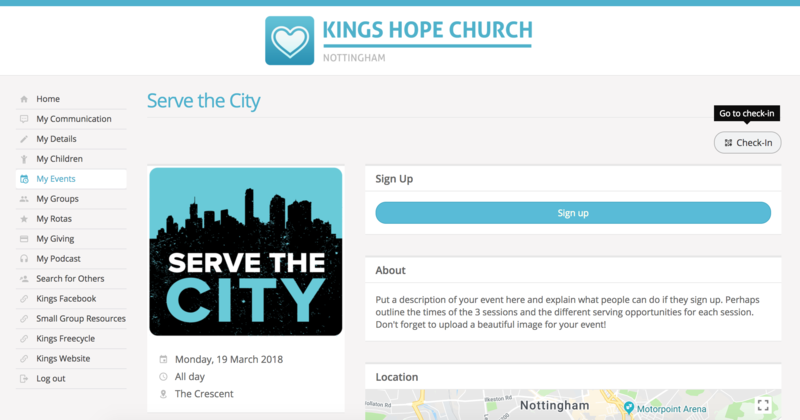 Your church's Home page will be styled with your church's logo and colour scheme, so it should feel familiar to you as you navigate around the platform. Navigation in a web browser is via the menu on the left hand side of the screen. This menu is always visible. You can either use use your browsers navigation buttons to go backwards at any time, or use the menu options (or the 'back' button in our apps). We'll now work through each of the menu options in turn - continue scrolling or click a link to jump to a particular section of interest. 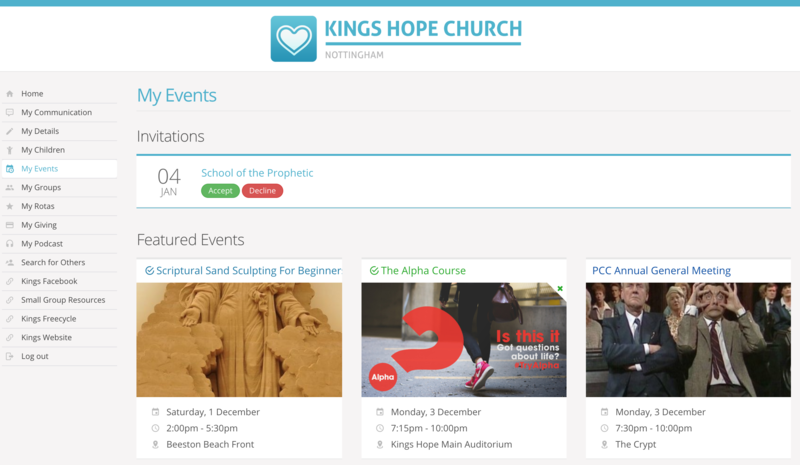 The Home page displays a brief welcome message and shows the next three upcoming featured events at your church. Clicking on a featured event will take you straight into the event page to see further information about the event. You can even sign-up (if it's a sign-up event) - your contact details are pre-populated into the sign-up form. 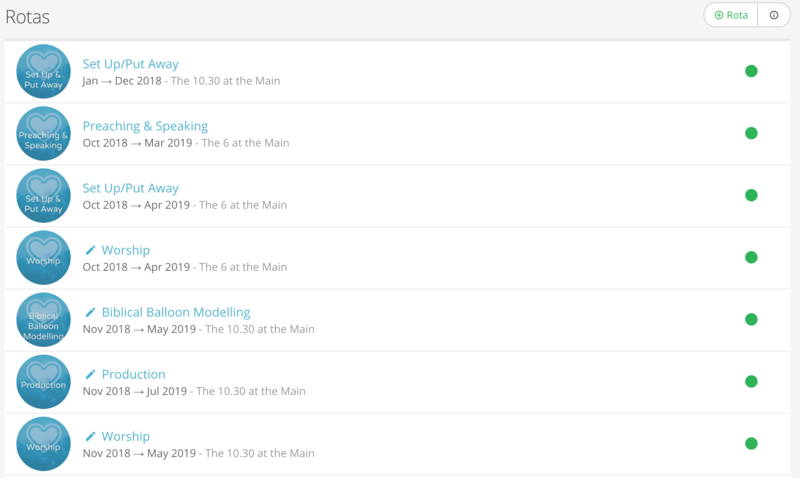 You can even pay for tickets by card for your church's 'pay' events - it simple, secure and helps your church with their event management and administration. Scrolling down the home page, there's a My Communication summary of your recent communications sent to you from your church - perhaps a rota reminder or the latest e-news bulletin. 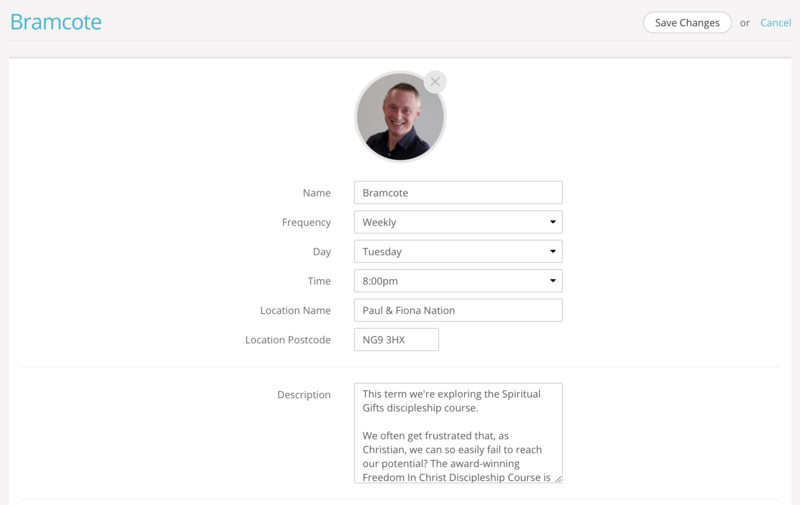 And on the left is the My Details section, which shows a summary of the main contact information your church holds about you on their database. This information is only visible to you, unless you choose to set some of your basic contact details visible to others in the church through your privacy settings (see later). Clicking the pencil icon in the top right corner of your details, or selecting the My Details menu option will open your Details page to enable you to review or update your personal information, perhaps adding missing information - that's always helpful to churches! 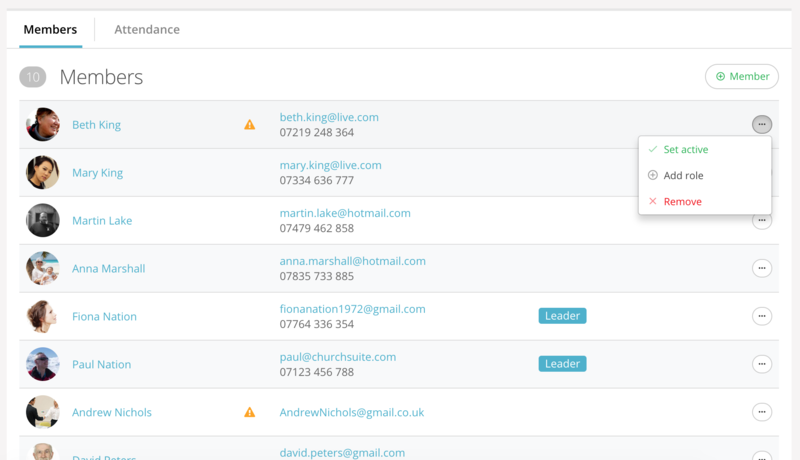 As part of managing your contact details, your church may allow the martial/relationship status to be editable to enable linking of contacts together. Some of the marital statuses require confirmation before the contacts will be linked. When you select engaged, married or cohabiting as a marital status, an email is automatically sent to the other person asking them to confirm the marital status. The contacts will only be linked when the other partner clicks the 'confirm' link in that confirmation email. A key area of interest will be your Privacy settings. 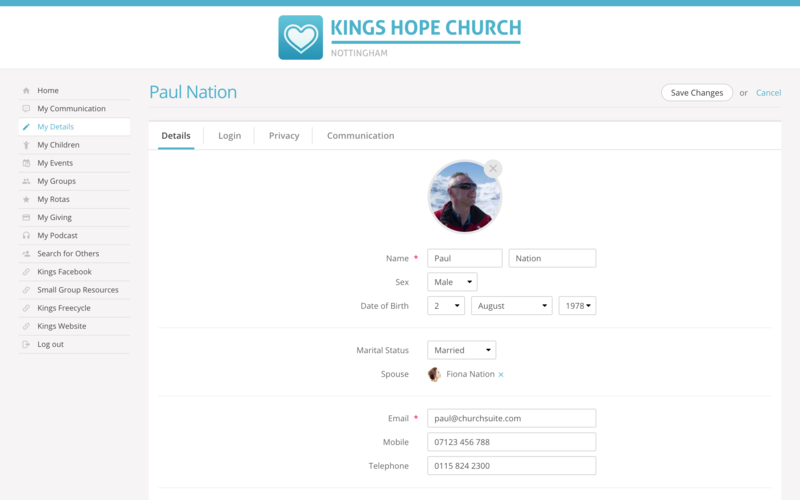 While your contact details are never visible to anyone outside of your church, you can easily manage the level of basic contact information you are happy to be visible to other members in your church within My ChurchSuite. For example, it's helpful for at least a contact number and email address to be made visible, so that people can organise things like rota swaps. Note that only your address, telephone, mobile and email can be set visible (or not) - no other personal details, such as your date of birth or marital status, are ever visible to others. Importantly, no children contact details are ever displayed in My ChurchSuite. Parents may be able to see and manage their own children's details (see later), but it is never possible to view the details of other children. The only exception to this is if a child is serving on a rota or are part of a small group - in this case their name only is visible to other rota team members, ministry overseers, fellow small group members and the small group's leader. A further exception is if a child is signed up for one of your church's events, in which case an event's overseer will be able to see the child's sign-up details in My Events as part of being able to manage their event. 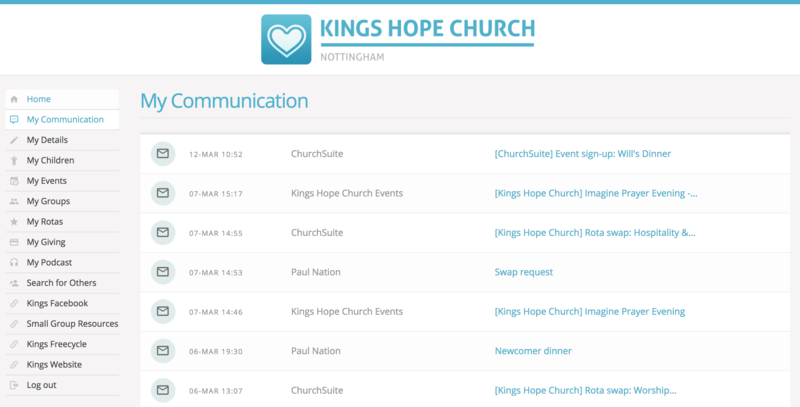 The Communication tab is where you'll manage your communication preferences - opting in or out of receiving general church communications and/or rota reminder communications. Do remember that opting out will prevent your church leaders from being able to keep in touch with you by these methods, meaning you may miss out on important church communications! Remember to save any changes you make. Then press Home to return to the Home page once more. You can easily view previous emails and SMS communications that have been sent to you by your church from the My Communication page. Please note that My ChurchSuite is not an email application, so it's not possible to forward or reply to messages from your My Communications page - for this you would need to use your preferred email application. Essentially My Communication is intended to be a simple way of viewing all your recent church messages in one place. Click on any message to open the communication in view. The My Children menu is only visible to parents. The My Children page enables parents to manage the information for each of their children. Parents can even add new children without needing to ask someone in the church office to do it for them! 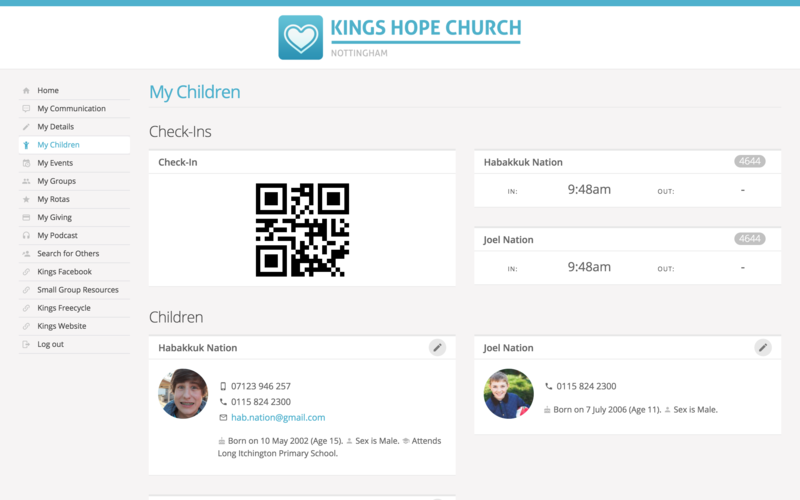 When there's an active Child Check-in session, the My Children page includes a Check-In QR code that parents can scan at the church's check-in station to quickly see a list of all their children within their system so that they can check them in quickly and easily. Once checked in, the parent pick-up passes are shown on the My Children page too (see below). Just like the My Details page for adults, clicking on the pencil icon in the top-right corner of a child will take parents into the Details page for that child, where they can update or add missing information, such as medical conditions, allergies or special needs. Only parents (and your leaders of course) can see this information - it's never made visible to other church members in My ChurchSuite. The child's Communication page is where parents manage their child's communication preferences - opting them in or out of receiving general church communications and/or rota reminder communications. Do remember that opting out will prevent your church leaders from being able to keep in touch with the child by these methods, meaning they may miss out on important church communications! Finally, the Photo/Video Consent page is where parents can mange their child's photo and video consents for internal and external presentations. 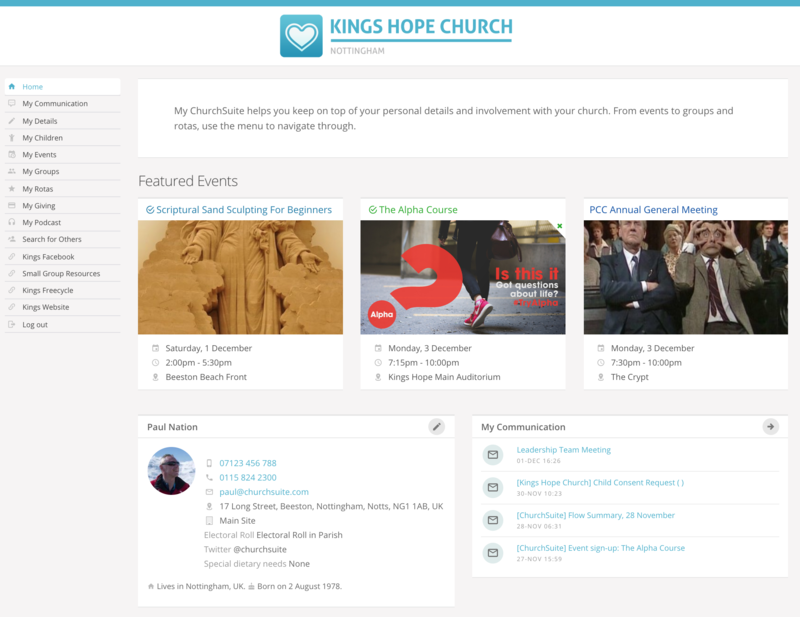 My Events is your church's events calendar and upcoming featured events in the life of your church. You'll see any outstanding event invitations awaiting your response. Scrolling further down the page is the searchable events calendar. Selecting a date on the calendar or typing into the "auto-complete" Search box will filter the list of events happening. Clicking on any event will open the event page giving you further information about the event. Where applicable you may be able to sign-up, and for pay events, to pay for tickets online. All your details are pre-populated into the event sign-up page, so it's really easy to sign-up with just a few clicks. If you're an overseer for an event, you'll have additional functionality on the event page for the events that you oversee. At the bottom of the event page overseers will see the current Sign-ups list. Clicking on a 'sign-up' will show you all their sign-up information and sign-up question responses. Overseers can even download the sign-up list to a CSV file. Overseers are also able to use the event Check-In feature to optionally record attendance at an event. My Groups is all about the small groups in your church. The top of the page, titled My Groups, is the group(s) that you are already a member of or are signed up to. Click on any of your group(s) to see the group information (see below). The group email button is located in the top right corner. 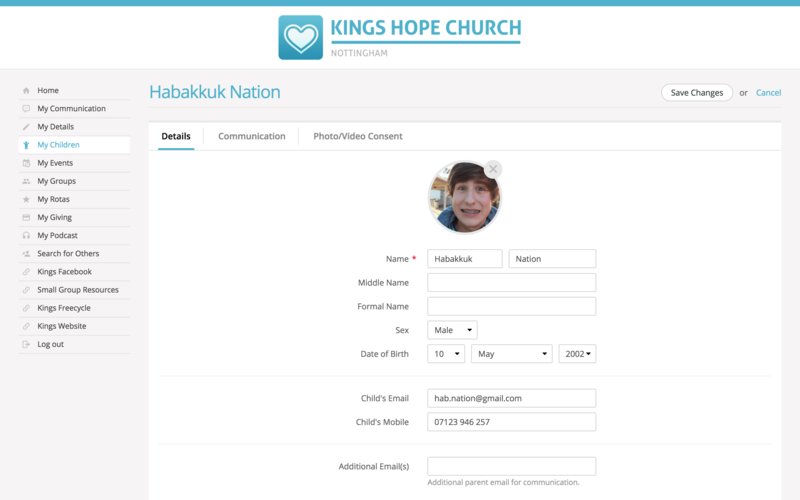 This is ideal for circulating prayer requests or group information to the group's members. 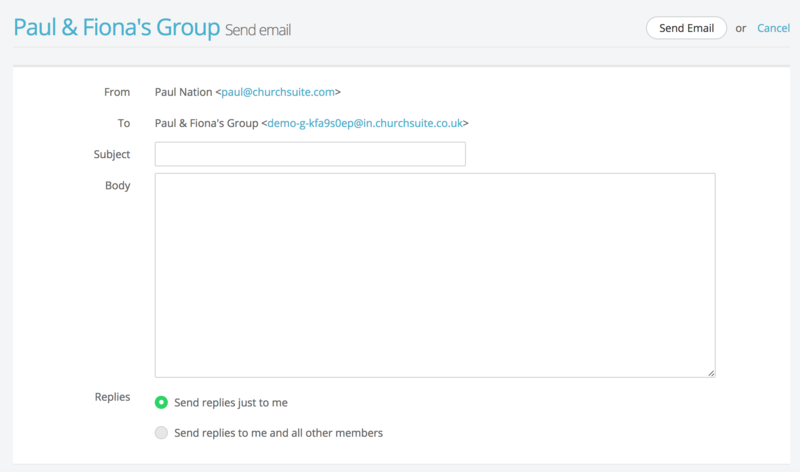 Originators of group emails can set whether replies go to just themselves or to all other group members (see image below). Only group members can use the group email address - it's a closed group email system - group emails are not visible to anyone outside of the group. It's not currently possible to add attachments to group emails, but you can include hyperlinks; perhaps to files stored in Dropbox, for example. You can however send a group email to the group's email address from your regular email app - in this way you can add attachments if you wish. It's not possible to restrict email circulation - it goes to all current group members that have an email address. Therefore, one-to-one private messages should not be sent using this feature. On receiving a group email, the message makes it clear whether replies are sent to the entire group, or just the sender. Group emails sent, and any replies, are all recorded in your My Communication page. Group emails are sent to all group members who have a valid email address, even if they have opted out of receiving church emails in their communication settings, as communication options relate to church emails only, not group emails. A group email sent with "Send replies just to me" will disclose the sender's email address in the reply-to field of the email so that replies are routed back to just the sender (irrespective of whether "email is visible in My ChurchSuite" has been set to not be visible - it's not possible to send an anonymous email requesting replies to "just me" and not have your email address disclosed! A group email sent with "Send replies to me and all other [group] members" will disclose the private group email address in the reply-to field of the email so that replies are routed back to all group members without disclosing the sender's email address or the other group member email addresses. A group member who has chosen to be invisible in My ChurchSuite will not see the "Send Email" button. 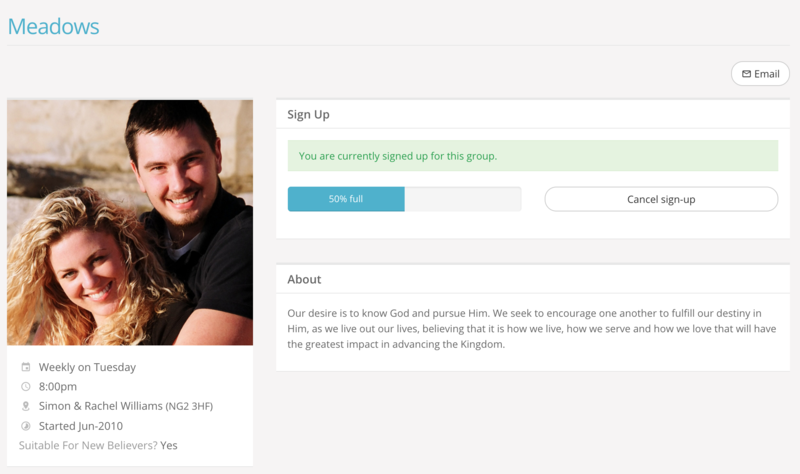 Further down the group page is the group's Members list - however, your church may have set for the group's member list to not be visible. 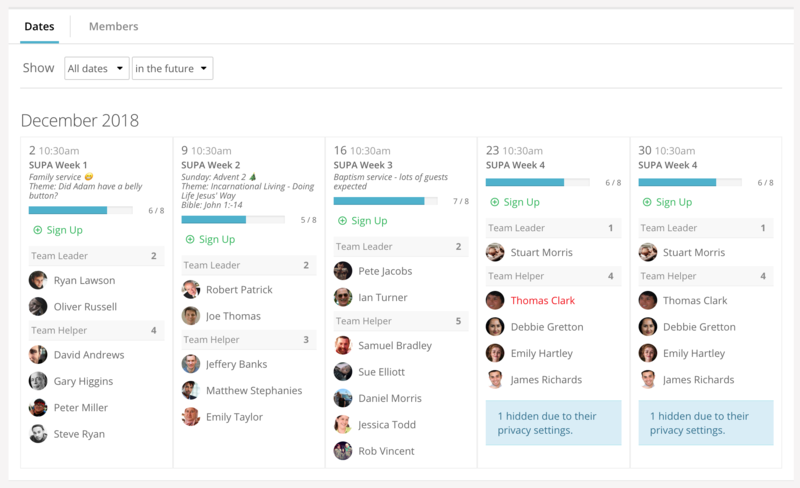 Helpfully, small group leaders have additional functionality based on their role permissions that allows them to record their group's attendance and manage the details and members list for their group. To record group attendance, click the Attendance button at the top of the group page (shown above). You can then submit group attendance, entering the meeting date and ticking names of attendees. Add any optional meeting notes or names of visitors. 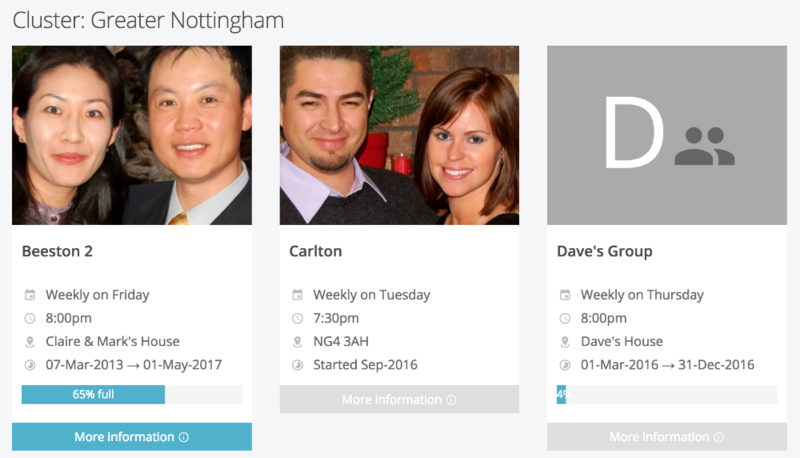 You can even tick to indicate if your group "didn't meet" on a date, which will help your church with their group attendance reporting. Attendance recording is also an invaluable safeguarding record. The Members section (see below) is where leaders can manage the group's member list; adding and removing people to/from the group. When adding new people to the group, you'll only see, or be able to search, for those people whose privacy settings permit. You'll need to speak to your church office if you can't locate a new member through the search, or if you have someone new joins your group who wishes to have their details added to the church database - this can't be done in My ChurchSuite - although they may be able to submit their details by signing up to the group via your church website. Removing a group member retains all their historic group attendance, however it does prevent them from being able to participate in group emails. 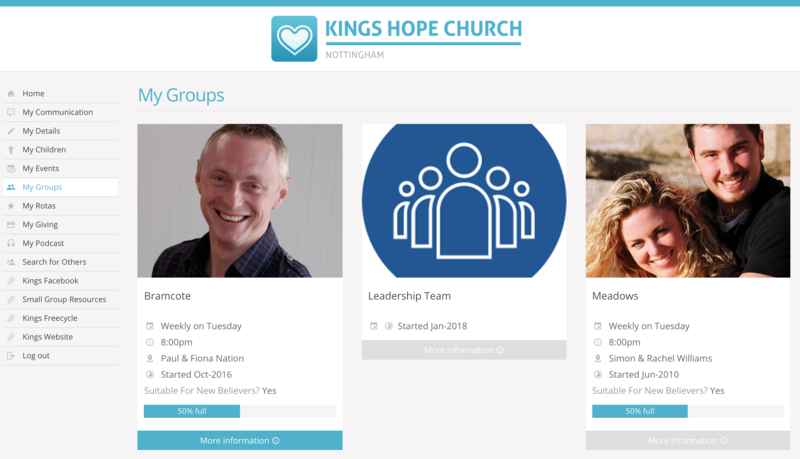 To help group leaders with pastoral care in small groups, they can view recent group Attendance; perhaps to identify anyone who might be falling away from the group, or reaching out to those who've been finding it hard to attend recently. Your church leaders will also find small group attendance useful - it's a helpful indicator of small group ministry health, plus it helps them to identify growth needs and plan for new groups in the future. 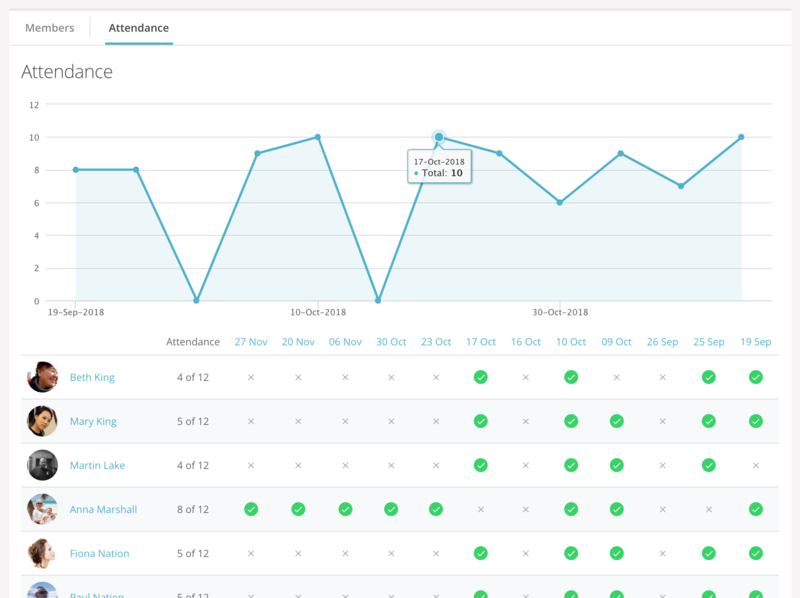 The attendance summary (shown below) can also be used to make corrections to historic attendance entries - simply click on a date from the column headings listed in order to view or edit the attendance for that date. If you're a designated Cluster overseer, you'll have an extra section in My Groups called Clusters, showing the groups within your cluster (see below). 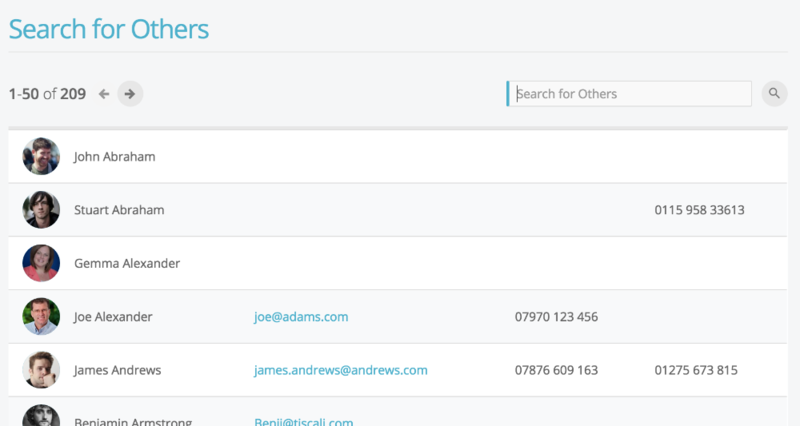 Overseers are able to click through and view the attendance and member lists of the small groups within their cluster. It's not possible for overseers to change any of the group meeting details, add or remove group members, or submit or edit group attendance. 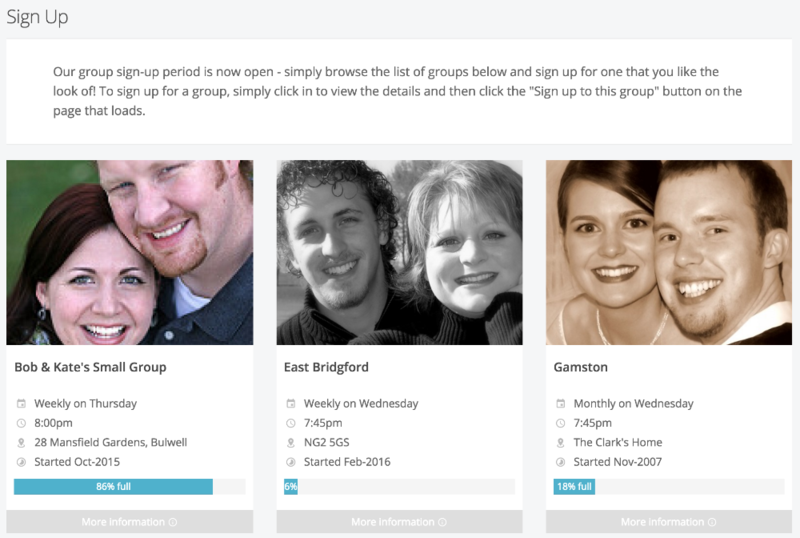 One of the great features of My Groups (if enabled by your church) is the ability to view the list of small groups in your church, find the group that's right for the you - perhaps a group that meets on a certain day, or in a certain location, or that has a particular emphasis or focus - and then sign up. Scroll down the My Groups page to the Sign Up section to view the available groups; then click "More information" to view further information about the group and to sign-up. From the group's page it's even possible for you to sign-up to the groups with just a single button click. What's more, the small group leaders will get an immediate email notification to let them know that you've signed up, so you'll probably get a welcome message or phone call from the leaders to invite you to the next group meeting! 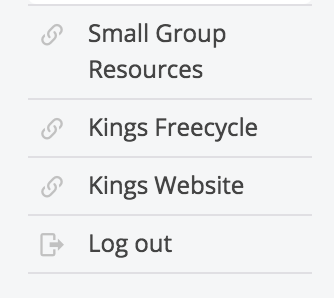 ...And if you signup to a group by mistake or you wish to leave a group, you can just as easily un-signup too! Just click 'Cancel group signup'. The My Rotas section displays all your upcoming serving commitments and rotas. 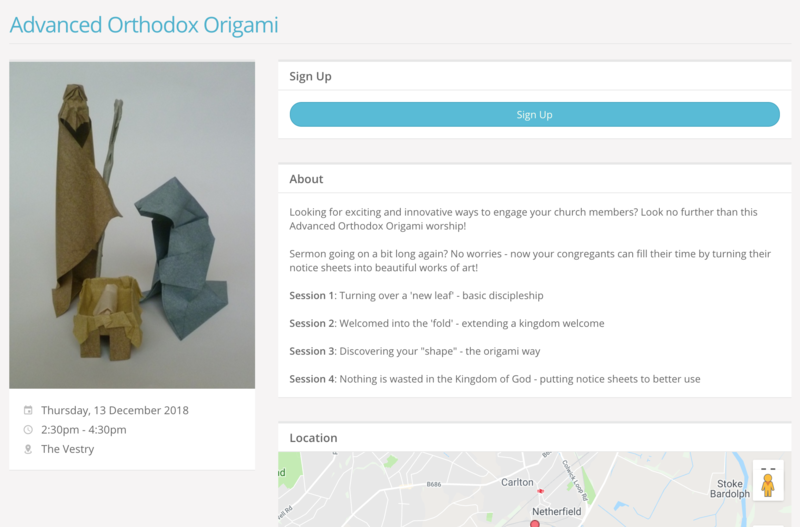 You'll only see the My Rotas page if you have future serving dates on a current published church rota, or if there are rotas published that you can sign up to, or if you are a ministry overseer. At the top of the My Rotas page is the Next Serving section detailing your upcoming serving - dates, rotas and any role(s) assigned on those dates. Dates shown in red indicate a rota date clash - perhaps if you are set to serve at the same time on multiple rotas. 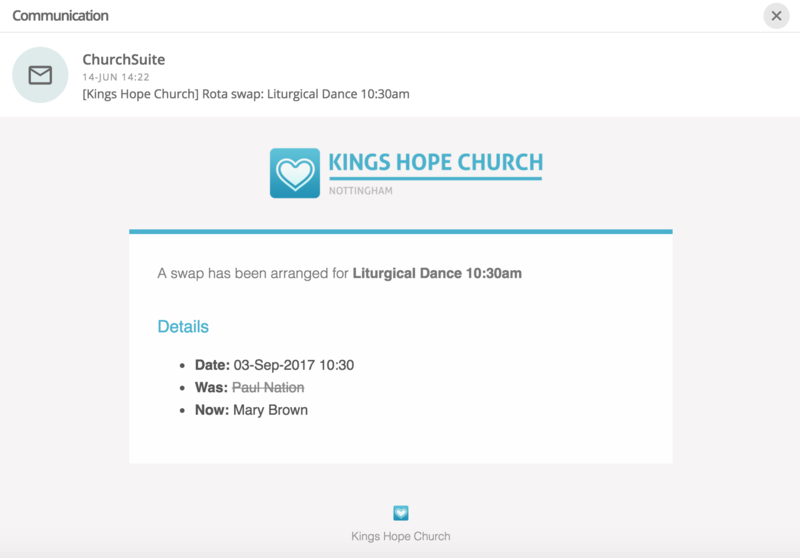 It's perfectly possible to be on multiple teams in a Sunday service, but some clashes may require you to swap, or to ask to be removed from a rota. Dates shown in red strikethrough indicate 'unavailability' that you've scheduled and where your ministry overseer has not yet replaced you on the rota. When you add unavailability, you might see entries in your 'next serving' section change to red strikethrough - that happens when you're already on a rota and either you need to swap with someone else, or your ministry overseer now needs to remove/replace you on the rota (depending on your church's unavailability and swap policy). Scrolling down the My Rotas page further is the Unavailability section. Here you can add your unavailability - perhaps holidays or known dates when you won't be available to serve. Adding unavailability sets you as unavailable for all rotas in that range of unavailable dates - it's not possible to set yourself unavailable for one rota but available for another - in that scenario you'd need to liaise with your ministry overseer. By adding unavailability overseers can manage rotas much more effectively; planning ahead and identifying gaps and shortages ahead of time. Unless your overseer has already encouraged everyone to add their unavailability, we encourage you to still communicate with them to let them know if you have added unavailability, especially if added at short notice. Note that adding unavailability doesn't send a notification to the rota overseer. Also, you cannot edit unavailability once it has been added, but you can remove it and add new unavailability, if applicable. Under the Unavailability section is a list of all the Rotas that you are set to serve on. Once a rota lapses or your final serving date on a rota passes, the rota will disappear from the list. Rotas with a green traffic light (see image above) on the right hand side are published rotas - the rota is live and visible to all rota members. Ministry overseers may also see their rotas with a red traffic light, indicating that the rota is still in draft. Draft rotas are only visible to overseers and not visible to rota members until they are published. Essentially overseers can plan ahead, create rotas and work on them without them being visible to rota members until they are ready to be published. Clicking into a rota displays the rota dates and the members and roles serving on those dates. 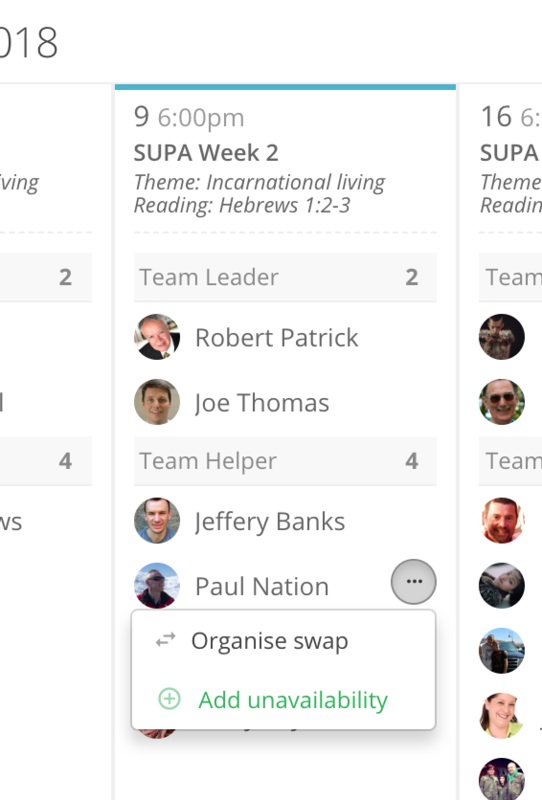 Depending on the rota functionality enabled by your church, it may also be possible for rota members to sign up to future dates on the rota, to organise swaps with others, or add your unavailability. Selecting Organise swap (if this feature is enabled), allows you to record details of the person with whom you have already made arrangements to swap with - you can't "inflict" a swap on someone! Also, you can only process a swap with people who are an existing rota member. Select their name from the Swap with drop-down list, and then add details of any Return swap you may have agreed. Saving the changes will update the rota immediately. After adding a rota swap, an email confirmation will be sent to you confirming you are no longer serving on that date, and to the swapee confirming to them that they are now serving on that date, including a note of their role(s) on that date. A further email is sent to the ministry overseer advising the swap transaction. Note that it's not possible for rota members to edit their roles - this is an overseer function that must be amended on the rota by them. When swapping, a swapee will inherit the same role(s) as the swapper. If in doubt, contact your rota overseer to advice them what is happening and let them update the rota for you, as they have further functionality that allows them to manage team member roles from within My ChurchSuite. ...so overseers might publish empty or part-completed rotas, and then invite ministry members to sign up to future dates based on their availability. It's a great way of recruiting and helps team members too, because they can manage their serving commitments based on their known availability. You can sign up to a rota date whenever you see Sign up on the rota (depending on your church's rota sign-up policy of course). 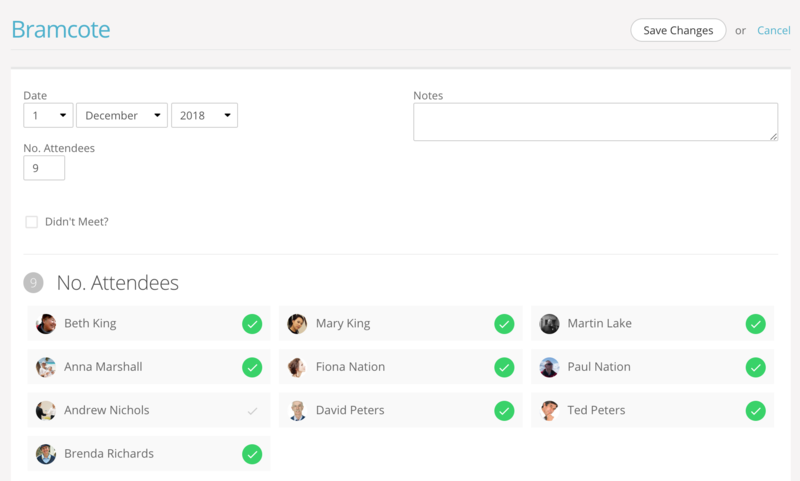 Manage teams, team members and roles within your ministry, including adding/removing members to teams and assigning roles to team members. Create draft rotas, publish and distribute them. Manage rota members on the rota page, including adding/removing people from rota dates, swapping people, and adding/removing dates on the rota. Add notes to dates on the rota, to communicate important information for rota members about something happening on that date. Enable rota sign-up and manage maximum sign-up numbers for individual dates or the entire rota. 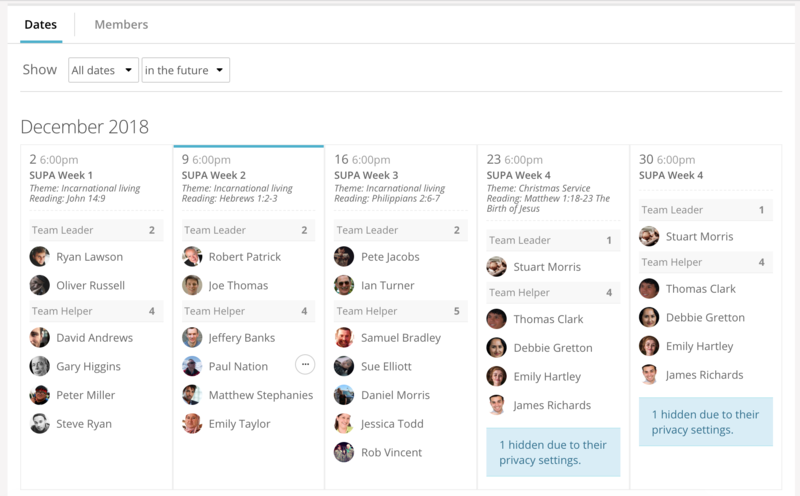 Add and manage unavailability for all serving team members and themselves. Receive clash notifications and manage responses. Full details of the ministry overseer functionality is covered in the related article referenced at the end of this article. 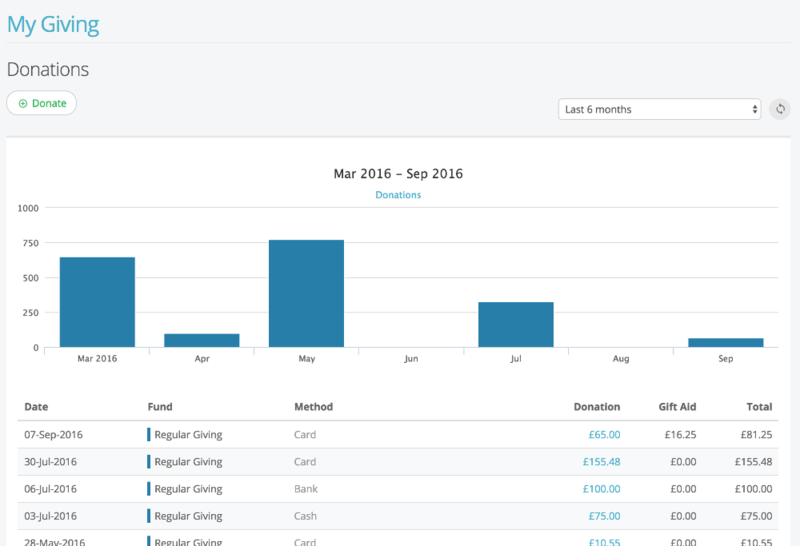 The My Giving section shows a summary of your personal Donations to your church, including the funds that your donations have been assigned to, the dates and methods you gave, and the reclaimed Gift Aid (UK) or tax deductible status (e.g. North America, Singapore). You can filter the list of donations displayed, perhaps to just see a particular tax year or filing year. 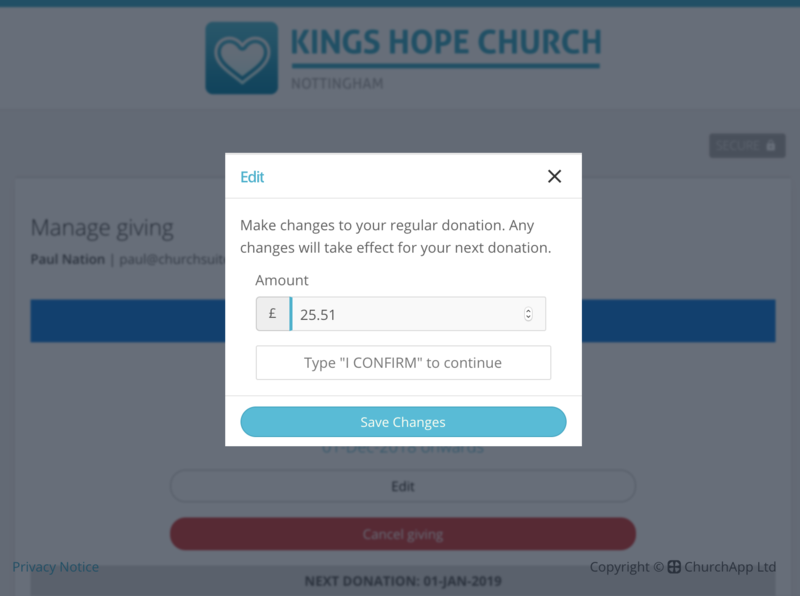 From My Giving you can access Donate, ChurchSuite's secure online giving platform, where you can easily set up one-off and/or recurring donations to your church. Scrolling further down the My Giving page is the Pledges section. Here, you can manage your existing giving pledges. For example, you can cancel your direct debit donations - perhaps if you wish to set up a new direct debit for a different amount. And for card donations, clicking Manage giving enables you to change your donation amount, the payment card or cancel your card giving. 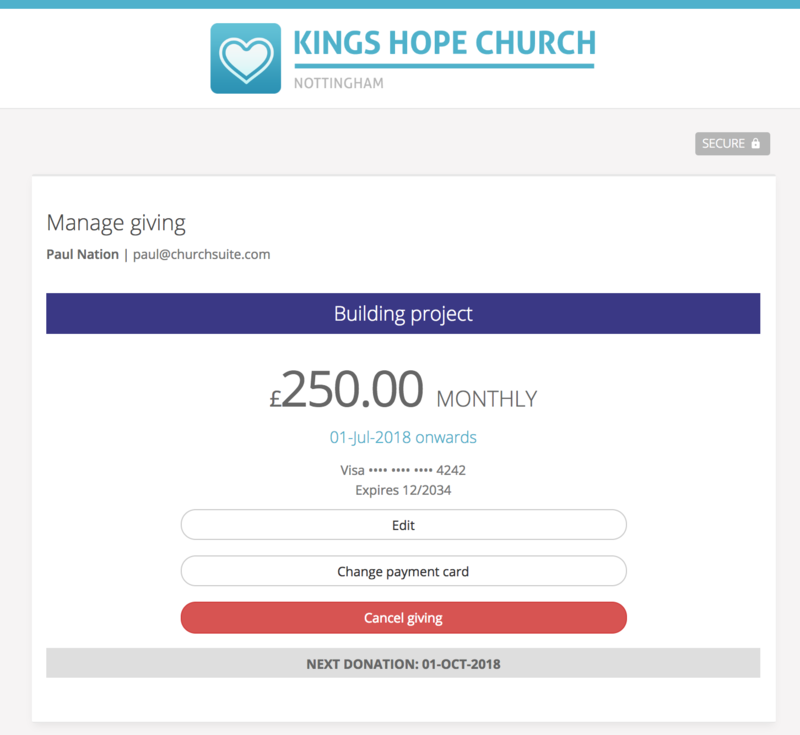 You can also set up "promise" pledges to your church, perhaps to support a building campaign, a mission, or simply the regular tithes and offerings of your church - just enter details of the fund, frequency and amount (see below). You can also specify the date range of your pledge, or leave the end date blank if it's to run 'until further notice'. Essentially, your church will then match the donations you make against your pledge(s), so you'll always be able to see your up to date pledge progress in My Giving. Importantly, pledges (if this feature is enabled), help your church to budget; knowing what income they can anticipate, and then plan accordingly. Pledges are a great way of being accountable in financial stewardship, with a helpful visual reminder each time you view your My Giving page. 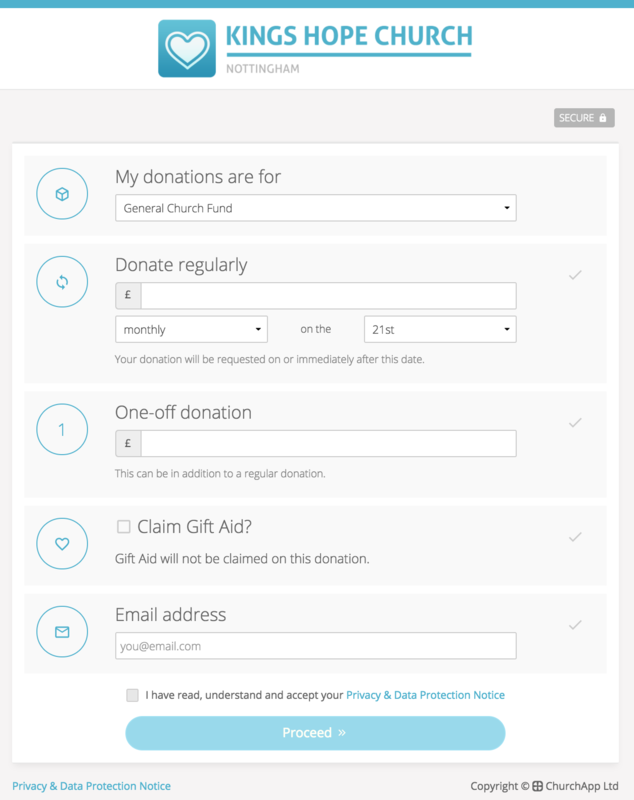 Finally, for UK churches, is the Gift Aid Declarations section, where you can view the active Gift Aid declarations held by your church. You can add a new declaration at any time. When adding a declaration you can specify a backdated start date of up to 4 years (under current HMRC rules), allowing your church to reclaim back-dated Gift Aid on past gifts for up to four previous years from the date of your declaration. The declaration will remain active until the end date is reached. Leaving the end date blank will set it active 'until further notice'. You can cancel an active Gift Aid declaration too - ending an active declaration will set the declaration's end date to today's date. Ending a declaration will prevent your church reclaiming further Gift Aid in respect of donations after the declaration end date for the fund(s) covered by that declaration - unless another active declaration is in place for those donations. Catch up on missed sermon messages in the My Podcast page. It's great on a smart phone or tablet - sermons on the go, all from within My ChurchSuite! 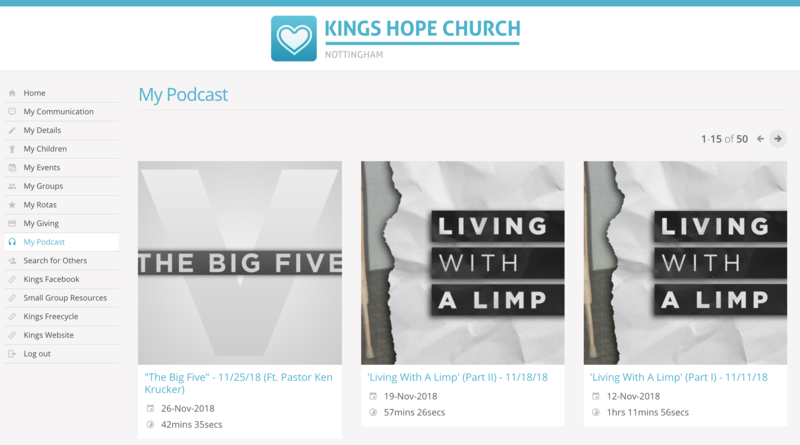 Sermon messages can be grouped by series, and they can be presented in audio or video format depending on your church's media setup and podcast configuration. This is your church's contact directory provided for church members. If enabled, your church may restrict which church members can access this feature, and also restrict which church members display in search results (perhaps excluding newcomers, for example, who may not yet be using My ChurchSuite themselves). It's therefore possible that you might not find the person you are looking for - you'll need to contact your church office if this is the case. Remember, you'll only be able to view the contact details of others based on their personal privacy settings, and they'll only be able to see your contact details based on your privacy settings. 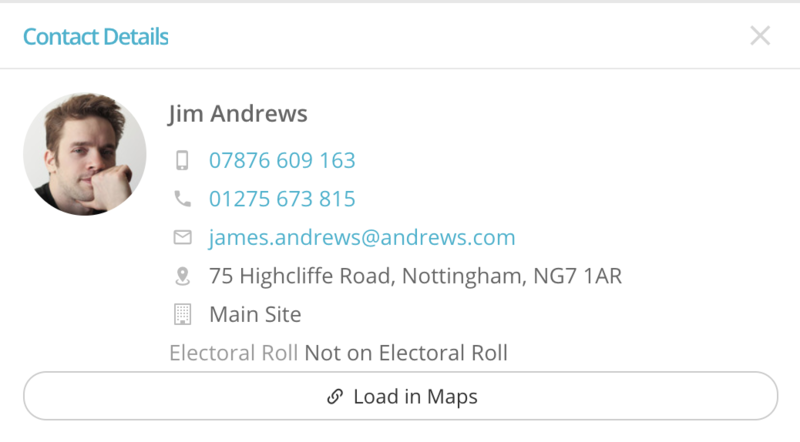 In the example below, Jim has chosen to set all his contact details visible to others. Clicking on a contact displays a pop-up contact card. The remaining items you might possibly see on the My ChurchSuite menu after "Search for Others" are what we call "external links". These are links to external websites and resources that your church may have set up for you. Your church may also have set some links to only be available certain grouping of people and not to others - this is so the content they provide you is relevant to you. If you think there are missing external links, contact your church office. External links can include things like a link to your church's website, or social media pages, or perhaps resources like kid's curriculum, leader resources or small group resources. Why not let your church know if there are further external links that you think might be useful to have.